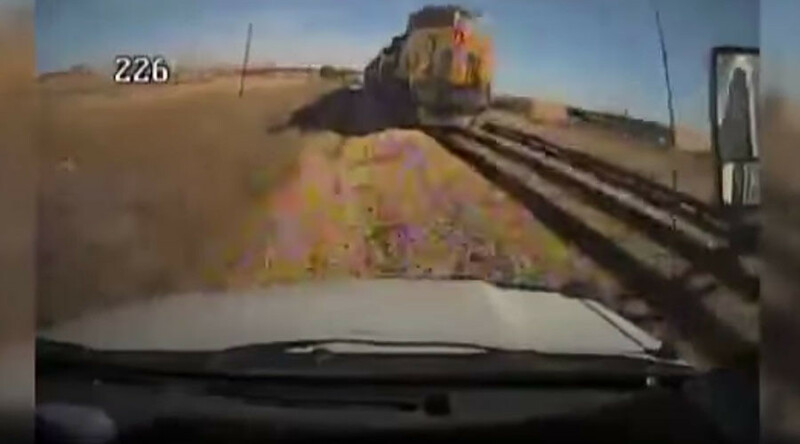 Dramatic footage has captured the nerve-shredding moment a bus veered off road and smashed into a train in Texas. Three people were injured in the collision, while the driver was brought to the hospital in a critical condition. The driver of the bus reportedly blacked out due to a medical episode, causing him to drift 200 yards (182 meters) across a gravel embankment and onto the railway tracks before crashing into the Union Pacific train. “The driver of a TRACS public transportation vehicle had struck a stationary train. When we came out to the scene, we found that the driver apparently had some kind of medical episode,”said a spokeswoman for the City of Midland at the time of the crash. The accident happened on January 9.